In addition to her parents, she was preceded in death by seven of her siblings, brothers, Chuck, Jack, Ed, Bill and Paul Miller and two sisters, June Virgin and Charlene Dlutowski. Audrey is survived by her beloved husband of 70 years, Bobby Theodore Oskin; their four children, Robert (Barb) Oskin of Pleasant Hills, Dennis (Marty) Oskin of Jefferson Hills, Pennsylvania, Linda (Dr. Daniel) Lattanzi of Upper Saint Clair, Pennsylvania and Judy (Jay) Girman also of Jefferson Hills; eight grandchildren, Jeffrey (Liz) Oskin, Dwight (Melissa) Oskin, Holly (Dr. Jacob) DiCesare, Emily (Eliseo) Rea, Brian Lattanzi, Jason (Bobbie Lynn) Girman, Jodi (Tom) Dugan and Jacklyn Girman; sixteen great-grandchildren, Brandon and Jessica, Dylan, Brady and Hailey, Jacob, Jude and Julian, Isabella and Leila, Tyler, Justin, and Braden Jay, Ryan, Bryce and Brielle; one great-great-grandson, Roman; two sisters, Eileen Herford and Elizabeth (Eugene) Rutkowski and many nieces and nephews. Audrey’s whole life was her family! Friends will be received in the Stephen D. Slater Funeral Home 1701 Route 51 (Large) in Jefferson Hills, Pennsylvania 15025 (412-384-0350) on Wednesday, April 10, 2019 from 2 – 4 and 6 – 8 PM. 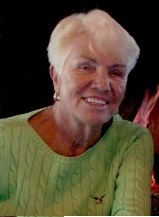 Audrey’s funeral Service will be in the Pleasant Hills Community Presbyterian Church 199 Old Clairton Road, Pittsburgh, Pennsylvania 15236 www.pleasanthillschurch.com on Thursday, April 11, 2019 at 12 NOON. EVERYONE PLEASE MEET AT THE CHURCH. For condolences visit www.stephendslater.com.